So many clients tell me that they're not photogenic, are "terrible in pictures", and "have never had a picture of us that we like!" I always aim to change those feelings! I can absolutely understand how hard it is to be in front of the camera for engagement pictures. I remember having my own engagement pictures taken, and how awkward and uncomfortable I felt. What do I do with my hands? Does my face look weird? Somewhere along the way I stopped thinking all of those things, and just concentrated on spending time with my fiance. That's when all the fears about arms and hands and heads and did I pick the right outfit? went away, and I was able to truly enjoy the session. I strive to give that experience to all of my engagement session clients. I promise to be sensitive to the fact that you might feel nervous. I promise to assure you that it's really, truly, totally okay to feel that way! I promise to walk you through simple poses that are easy to accomplish, with the goal of focusing on the way you and your future spouse interact with each other. I promise to create a rich gallery for you, full of variety and nuance. 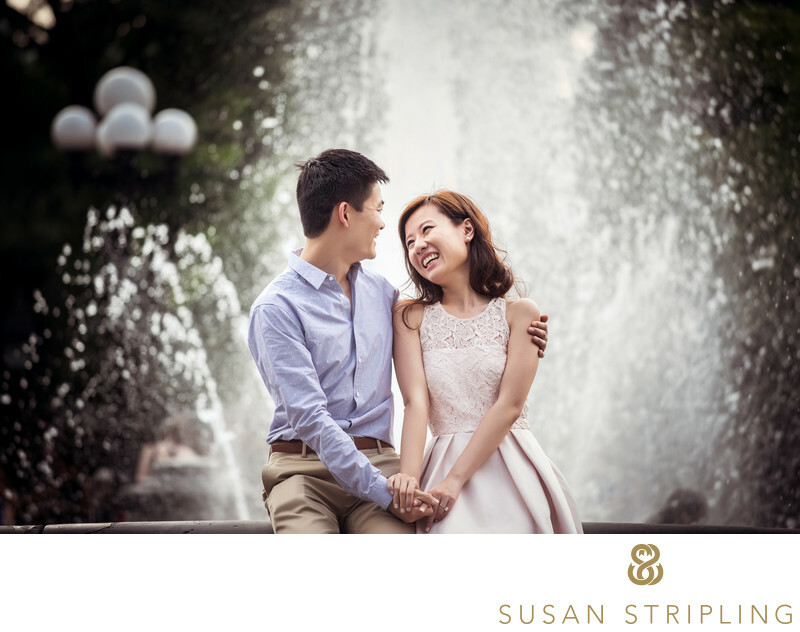 I hope that if you're considering an engagement session in New York, Brooklyn, New Jersey, or Philadelphia, that you'll give me the chance to work with you. I promise - it will be fun!